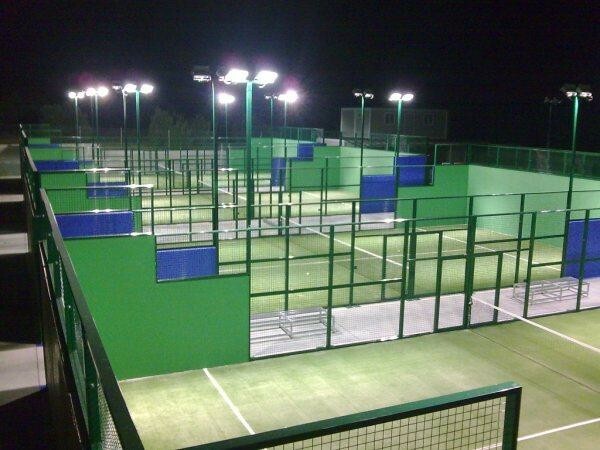 What attracts about padel which engages so many people? You can enjoy the game even if players have different levels (very difficult in tennis!). Older people can play it because it doesn’t involve huge strain (almost always people play doubles), joints suffer less in the surface on which you play… And above all it’s fun! The scoring system is the same as tennis and even the type of ball, but padel has its own rules. The service is much less decisive than in tennis because the ball has to bounce on the ground and have to hit before waist level. And then you can also use the walls. Of course, if the ball hits the wall or wire mesh you will have to hit a volley since you’ll lose the point if it bounces again. When you grab the bat, the most important thing is that you are comfortable and that you hit the ball with the largest possible surface of the bat. A basic advice on padel? The ball is not hit, it is pushed, a defect common among players who come to play from tennis is that they exaggerate the movement: the swing is much shorter in padel. In addition, the hits are sliced, while in tennis they are more direct.